Volunteering comes with more positive effects than just opening doors of opportunities for you. In fact, it even benefits your health. The merits gained by an individual who volunteers to help others are more than even the people who receives his help. Volunteering helps reduce the risks of developing depression. This is because when you help others, two reward centers of your brain are alerted. This results in making you feel happier. Volunteering also boosts your self-esteem and encourages social interactions. As you form new bonds, you make a social circle that is there for you in times of need. This are some ways loneliness wards off depression, and stress. The impacts of volunteering are also positive for your heart. You seem helping others reduces your risks of hypertension. It can also stave off chronic pain. It strengthens the cardiovascular system along with regulating healthy blood pressure levels. It also takes down the risks of developing heart diseases. This is how volunteering promotes a healthy heart game. Volunteering also keeps your creative engines rolling. It keeps your brain active and busy, leaving no room for stress-inducing thoughts to barge in. Since it keeps the brain stimulated, its cognitive abilities don’t get rusted. This is because social interactions maintain your alertness and other mental skills. In this regard, the elderly lot can benefit a lot from volunteering as it keeps their minds active and their cognitive abilities in play. Volunteering to help others can also increase your lifespan. Research shows that volunteers have lower mortality rates. This is because their physical and mental health is in much better shape compared to others. Volunteering also helps decrease the intensity of pain in those who have chronic illnesses. What’s more, it also promotes joint and muscle movement and hence, an active lifestyle. This how it contributes more years to your life. It also promotes graceful aging. Typically, aging is accompanied by problems in mobility, excess weight gain, and mental decline. Loneliness helps reduce the risks for all of these. This is because it keeps one’s brain active. It also promotes walking which is great for the bones and joints. The physical activity demanded by volunteering also keeps one from putting on too much weight. Hence, one is able to age gracefully. 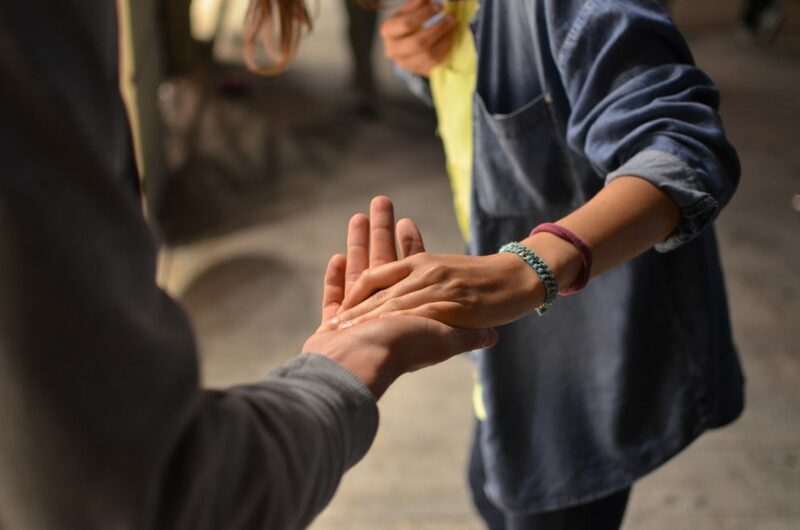 Volunteering to help other people may also help reduce one’s anxiety. It teaches one communication skills and it also gives one a social lifestyle. Volunteering results in the release of dopamine in the brain which is a hormone that makes one feel good. By proving to fruitful for the brain and one’s social life, volunteering decreases anxiety symptoms.